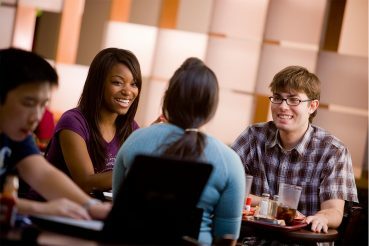 When students live together in addition to taking courses together, the learning extends beyond the classroom into the rest of the campus. 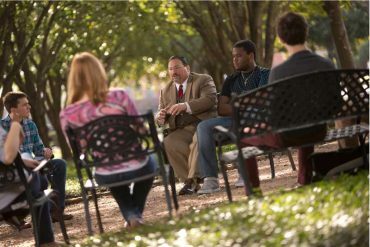 Professors teach the students, but students also teach each other by sharing their own understanding of what they learned during a lecture or a debate between classmates. The students have the capacity to spur each other on to deeper thought about the material they study in common. In this way, the work of teaching and learning integrates itself into the lives of the students. They stay in the place where learning occurs and are constantly inspired to think about what they are studying. The same dynamics apply to their spiritual formation. Living together in a community that consciously seeks to follow Christ as a model helps students take their faith seriously. The campus becomes infused with a combination of scholarship, friendship, and Christian fellowship. Students live and study on the same ground. That unique combination is what inspires alumni of many universities to develop powerful bonds to their institutions. Their colleges and their related communities of learning and residence become woven into the tapestries of their lives. They are excited to return and to send their children to the same place to have the same experience. HBU is going forward into the next dozen years with a strong plan to become a primarily residential campus. We are currently in the process of building a residential college that will accommodate more than 350 students. This facility will have men’s and women’s wings and will supplement our current residence colleges and the apartment style living in Husky Village. The complex will contain a small chapel, a sweet shop, innovative housing arrangements, fitness facilities, and a variety of gathering places. There is also an apartment for a faculty member-in-residence who will act as a mentor and friend to students. This building is the first of several more like it to come. While it is commendable also to have a campus where students come to take classes, study, and leave to live elsewhere in the city, we think it is even better to offer a complete experience of living and learning to the majority of students. In addition to building enough residential housing to accommodate a large majority of students at HBU – at least 50% of our undergraduates – we plan to develop the campus in such a way as to encourage the gathering of friends and the interaction of students and professors. We will achieve that goal by creating attractive green spaces and small parks throughout the campus. HBU will also take steps to create an expanded bookstore with a coffee shop that is either nearby or contained within the facility itself. The new bookstore and coffee shop will offer extended hours to fit the lifestyles of students. Our goal will be to create an atmosphere that encourages browsing through books, spending time with friends, and studying. Today’s students view technology as a given. They expect to be able to connect wirelessly from almost any location on campus so they can send email, download lectures, do research, update their favorite electronic pages (like Facebook), and maintain websites. For them, connection via the net is so important as to constitute a major distraction when not available. We have already worked rapidly to generate wireless connections in all the buildings of the campus. However, the future demands that we continually maintain and upgrade those capabilities. Another critical part of our mission is to help every student succeed, even when they might lack proper study habits because of either disability or personal history. At a Christian university, doing everything possible to keep students moving forward together is a core value. For that reason, we will redouble our efforts to establish a strong and effective academic success center on our campus that meets the needs of residential and online students. Athletic activities are also important to the student life experience. HBU is in the process of moving up to Division 1 of the NCAA in order to compete at the highest level. Given our location in one of the largest cities in the United States, with the potential for major media coverage, it makes sense for HBU to excel in athletics both to give our students the chance to rally around the efforts of their peers and to advertise the institution. The simple reality is that most Americans know of the existence of colleges outside their own states because of sporting competition. 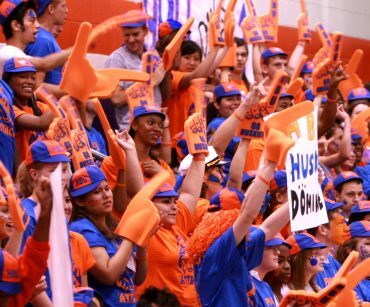 Something that benefits students, alumni, and the rest of the HBU family by entertaining, providing scholarships, and advancing the institution deserves to be expanded. Finally, HBU will continue to provide fitness areas for our residence colleges. Having adequate spaces for exercise is another key component to encouraging students to live on campus. During envisioning sessions with students currently enrolled, athletic equipment ranked high on their list of concerns. They want fitness machines, free weights, and rock climbing walls. Students also envision the campus being surrounded by a walking/jogging trail. The most important element of developing a residential community of living and learning has to do with our Christian character. 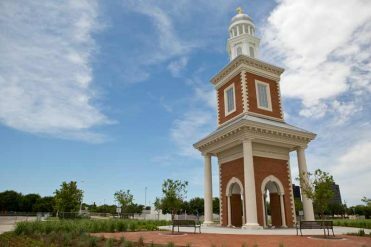 Above the priorities of parks, walkways, bookstores, coffeeshops, athletics, and fitness rooms, HBU must retain its dedication to providing students with a gracious, hospitable, and winsome Christian environment. That means we must continue to serve them reliably and well, in terms of teaching, administration, student programming, food service, and maintenance. [i] Address to the Pepperdine Faculty on October 6, 2000.